What a great name! It’s an expression full of fun, excitement and action. The company, YipeeYiYo Limited, has a vision to become the preferred online destination for practical lifestyle advice, including the opportunity to buy goods and services from relevant third parties. The kind of advice that would be offered includes health and lifestyle, personal finance, creative projects and more. 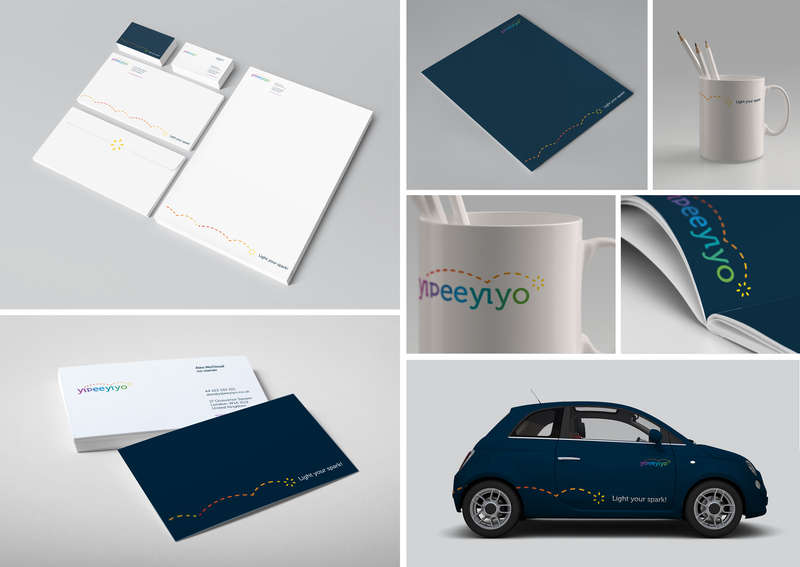 We were approached to develop an impactful, memorable, creative logo design for the YippeYiYo brand. 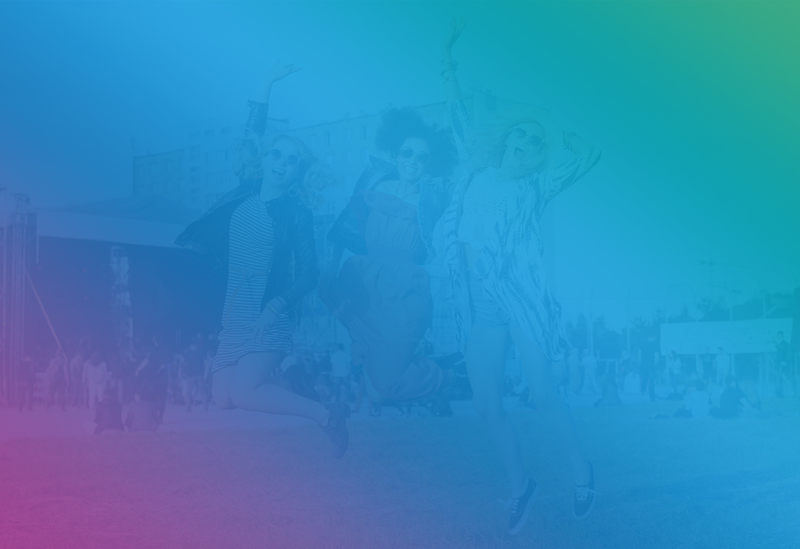 This would need to convey the fun, excitement and action of the brand, but also embody a feeling of knowledge and trust. Not the easiest balance to strike! And we took on board the level of personalisation offered by the service. We would also be working within colour preferences of bright and fresh tones of orange, pink, black, purple and yellow together with a simple, effective use of the tag line ‘Light Your Spark!’ in a clear, unfussy font. We initially sketched a range of graphic ideas, focusing on displaying the letters in the name in a creative, impactful way. The design reflected the tagline ‘Light Your Spark!’ by using dots and a spark in a colour spectrum morphing from red to orange to yellow to look like a spark lighting up. We also used a colour spectrum for the font, starting with a striking purple. But we also wanted to give the identity an elegant, approachable feel to reflect the social nature of the business, rather than a traditional business-to-business look. 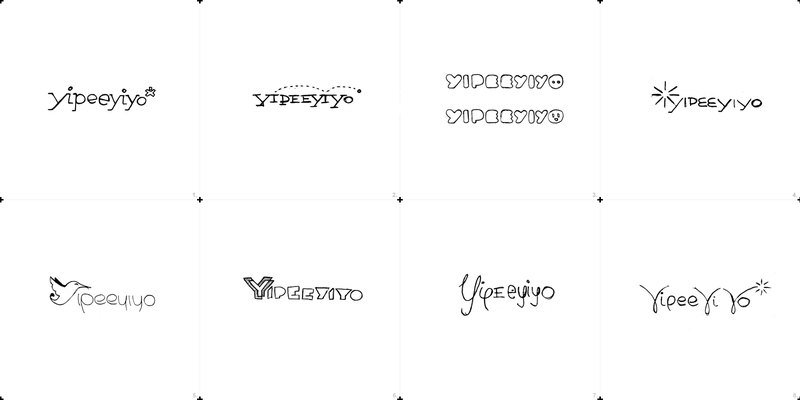 So we made the ‘Y’s bigger to introduce contrast and clear differentiation between the words.